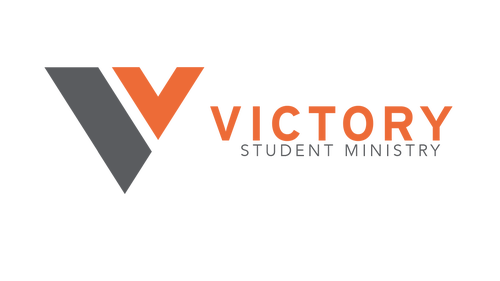 Welcome to the Student Ministry of Victory! We exist to help the students of Johnson county grow in their relationship with Jesus and help to show our community His life-changing love! 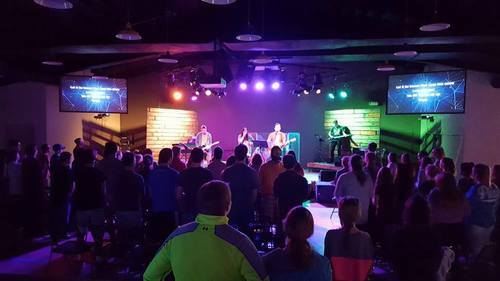 Who can attend Victory Student gatherings? Middle School age students (5th-8th grade) may attend our gatherings on Sunday mornings at 9 or 10:30am. High School age Students (9th-12th grade) may attend the gatherings on Sunday evenings from 4-6:30pm. Students are encouraged to bring friends! Do volunteers go through a background check? Yes. All volunteers must successfully complete a background check and volunteer application before becoming a volunteer. What can my child expect at a gathering? Gatherings are meant to be fun while keeping the focus on Jesus and the gospel message! 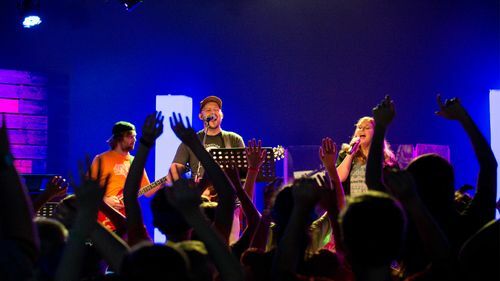 Students can expect relevant, powerful worship, an engaging, applicable message, fun games and activities, and building community in a small group setting. Who is teaching my child? Our Student Minister and a team of skilled communicators who love Jesus deliver the message each week. Our curriculum is from Orange, by North Point Ministries. 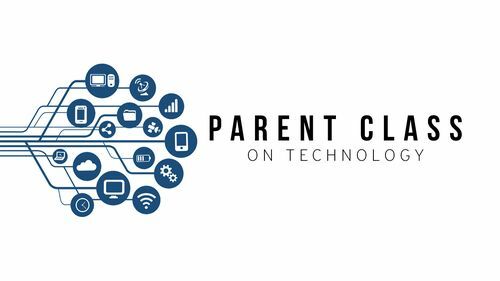 You can rest assured that your child will clearly hear what it means to follow Jesus. You can view past messages on our YouTube channel here. Do you have to be a Christian to attend a gathering? The answer is absolutely not! At Victory, it is "come as you are!" You are welcome here no matter what. We hope that by attending, you will be able to begin a personal relationship with Jesus and continue to grow in Him! You can view all of our church's beliefs, here. Follow Victory Students on social media. BY ATTENDING VICTORY CHRISTIAN CHURCH, I RELEASE ALL RIGHTS TO USE MY IDENTITY OR LIKENESS IN PRINT, ELECTRONIC, AND OTHER MEDIA TO VICTORY, IT'S AGENTS, AND EMPLOYEES . I WAIVE ALL RIGHTS, CLAIMS AND INTERESTS TO CONTROL SUCH USE.